Wherever a non-ionic wetter is required it always pays to use the best, most efficient option. With Activator, just one surfactant reduces foaming and driftable fines, improves rainfastnesss and wetting and also improves uptake – can any surfactant do more? Save yourself the trouble and give it go today – you’ll be more than happy with the results. 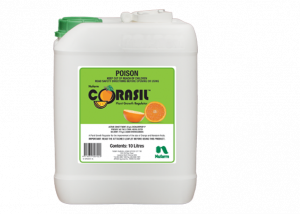 Reduces the number of surfactants in your shed. Makes mixing spray tank easy. Maximise crop protection with reduced off target drift and damage.